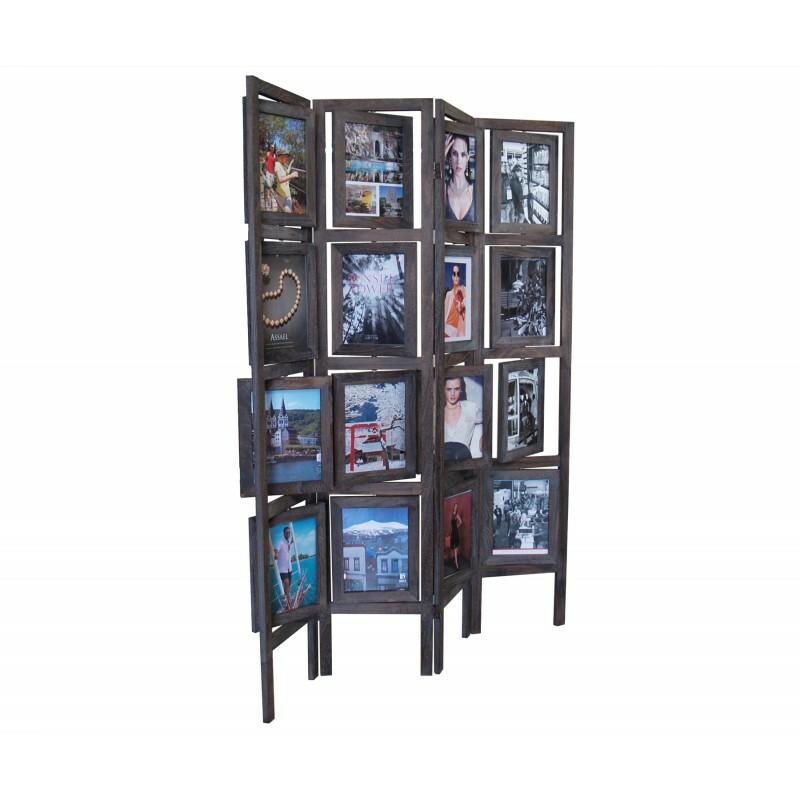 Oscar II Picture Folding Screen,16 8.5x11 windows can fit 32 pictures double sided. 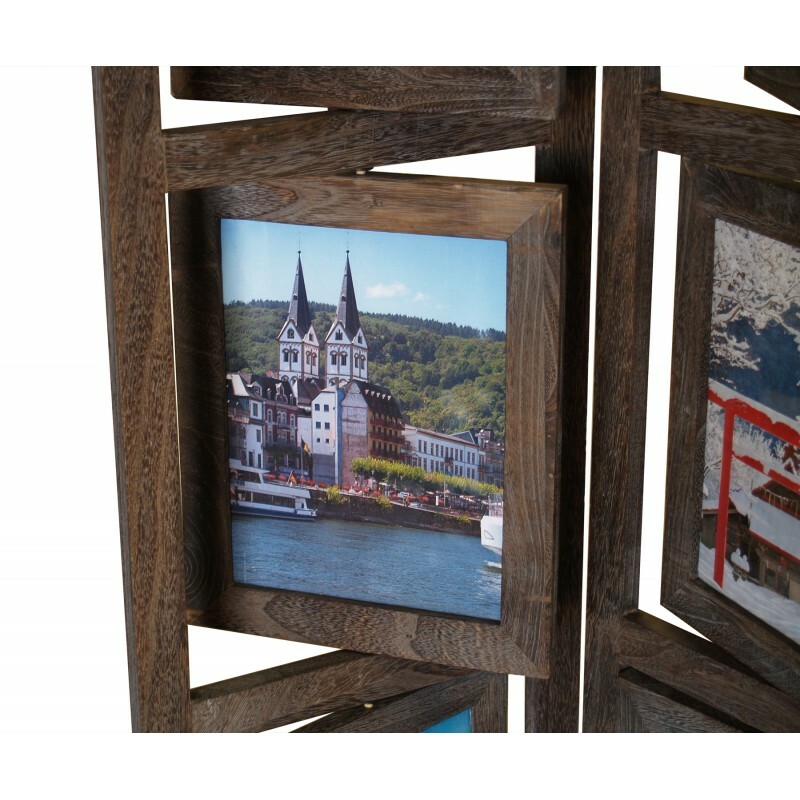 Paulownia wood with torched brown finish. 32 plexiglass included. 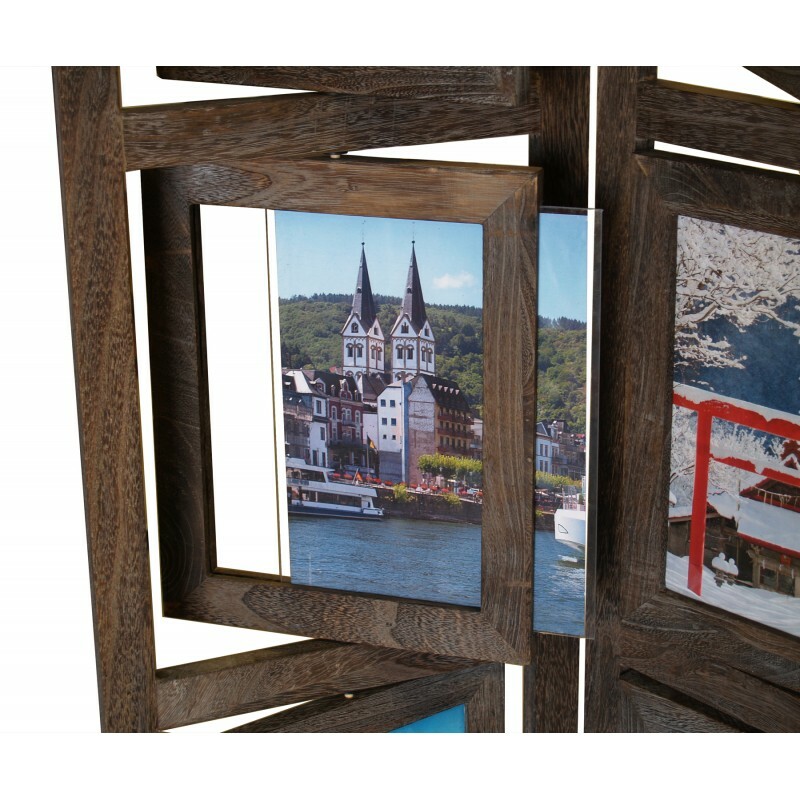 Ideal for display and room divider.